Lock in a great price for Las Arenas Balneario Resort – rated 9 by recent guests! Loved the facilities and the service was impeccable. The room was quite large with a balcony overlooking the city and the sea. My favorite was the towels. The bath sheets were quite luxurious. Spa, food and location were incredible! Carlos the Concierge was extremely knowledgeable! A very grand hotel, one of the few high end hotels located on the beach. Lovely food in the restaurant, but a little pricey. Buffet was excellent. In addition, made to order omelets. Staff exceeded my expectations. I loved almost everything especially the staff, dinner & lunch restaurant, swimming pool, and outside attractions. Wonderful property! We stayed here with our two teenage daughters and it was just fantastic! 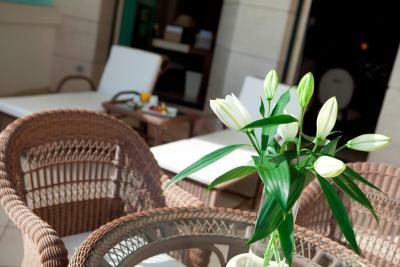 The hotel is beautiful and luxurious with amazing views of the Mediterranean. The location is perfect, allowing us to walk to fun restaurants right on the sand. The staff was exceptional-very friendly and attentive. We will definitely be back! beautiful property, we enjoyed the pool and the proximity to the beach, excellent food and drink and service. staff were friendly and helpful. Our room was very comfortable. Took advantage of the Spa services too. 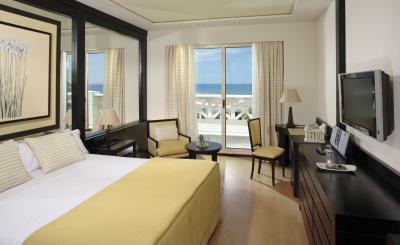 Gorgeous and grand hotel with lovely pool (two outdoor, one indoor) and gym - direct access to beach. Easy to get to by metro directly from the airport (just a few blocks away from the stop) as well. Breakfast is lovely on terrace. Great place across the street called Otra Parte too which has delicious local seafood. The pool and spa facilities were excellent. The breakfast although at times very hectic at times was also excellent with a fabulous choice and attentive staff - some smiles may have helped - they all looked so stressed ! The room was lovely with an excellently appointed and equipped bathroom. Las Arenas Balneario Resort This rating is a reflection of how the property compares to the industry standard when it comes to price, facilities and services available. It's based on a self-evaluation by the property. Use this rating to help choose your stay! One of our top picks in Valencia.This 5-star resort has a superb seafront location with direct access to Valencia's Las Arenas Beach. The Las Arenas Balneario Resort features 2 seasonal outdoor pools surrounded by loungers, and a luxurious spa. All rooms at this design hotel are elegantly decorated with neutral colors. They include free Wi-Fi and a 32-inch flat-screen TV. When would you like to stay at Las Arenas Balneario Resort? This air-conditioned room has views of the city. It features satellite TV, a minibar, and a private bathroom with a bathtub tub, free toiletries, a bathrobe and slippers. Featuring a private patio with sea views, this room has either one double bed or 2 single beds. It has satellite TV, a minibar, and a private bathroom with a bathtub tub, free toiletries, a bathrobe and slippers. 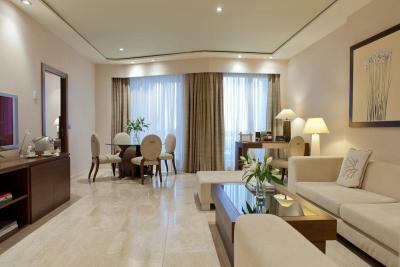 This suite features a terrace with sea view, a living room and a bathroom with separate shower and whirlpool bathtub. 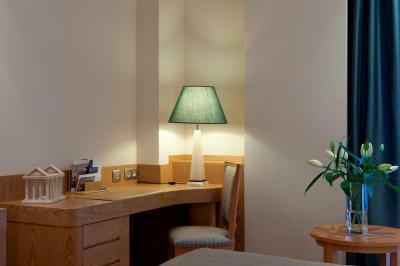 It includes a free minibar and free access to the thermal area of Las Arenas Spa. 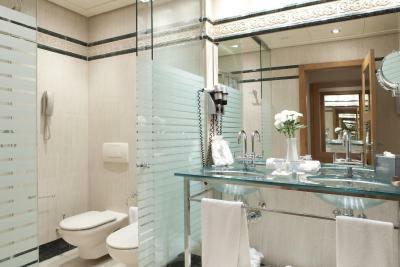 Located on the 4th floor, this room has a terrace with sea views and includes luxury bathroom amenities. This air-conditioned room offers views of the city. It includes satellite TV, a CD player, a minibar, and a private bathroom with a bathtub, free toiletries, a bathrobe and slippers. This family room has a CD player, air conditioning and bathrobe. This air-conditioned room offers views of the city. It includes satellite TV, a mini-bar, and a private bathroom with a bath tub, free toiletries, a bathrobe and slippers. An extra rollaway bed for 1 child is included. 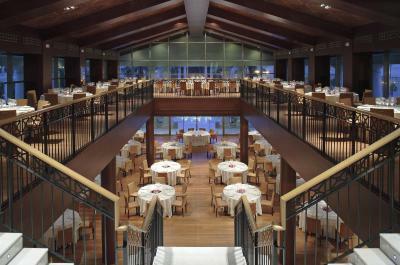 Hotel Balneario Las Arenas, member of the Leading Hotels of The World club. It has been founded with the aim of restoring Valencia’s Las Arenas and Malvarrosa beaches. Its stylish, beach-front building combines the architectural beauty of the historical Balneario Las Arenas resort -founded in 1898-, with the elegance and comfort of modern design. Hotel Las Arenas has 253 rooms and suites. 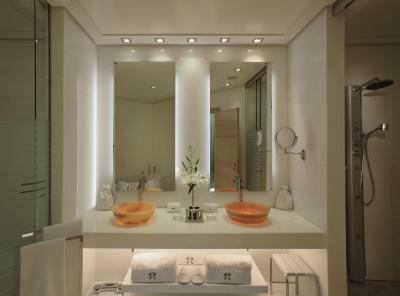 Equipped with bathrooms with hydromassage cabins and baths, smart TV, free WiFi and CD player. 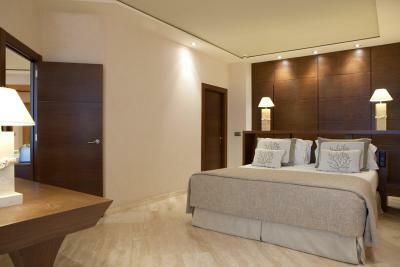 Most rooms also feature large terraces overlooking the Mediterranean Sea. The rooms are laid out as follows: Classic rooms with city views, Deluxe rooms with a terrace and sea views, Executive rooms with a terrace and the best sea views, 8 Mare Nostrum Suites, 1 Las Arenas Suite and 1 Malvarrosa Suite, the latter with private kitchen and dining room. This same building houses the Sorolla Restaurant with splendid terraces overlooking the sea.This restaurant serves modern Valencian cuisine. In addition, cocktails may be savoured at the Lobby Bar. Lastly, The Las Arenas SPA offers personalised treatments to suit your needs. House Rules Las Arenas Balneario Resort takes special requests – add in the next step! Las Arenas Balneario Resort accepts these cards and reserves the right to temporarily hold an amount prior to arrival. Location was good but no amenities around if you didn’t want to pay 22euro for a very basic breakfast. Breakfast was poor especially for the cost. Had to even pay to use the spa area and at most hotels in the UK this is free of charge if a guest at the hotel. The room was clean but the shower went from boiling hot one second to freezing cold the next. Not worth the money we paid and had stayed elsewhere in the city centre near the Cathedral in a much nicer hotel at a fraction of the cost. Good location if wanting some time on the beach, they take good care of their beaches! The veranda area was lovely with beautiful views. Disappointed that at this price breakfast was not included. Not our first visit to this hotel. Always find it excellent for comfort, service and location. Food was great, pool was great, staff were great ! 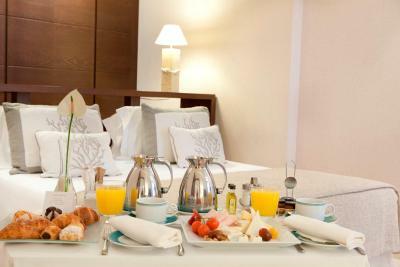 The room is very comfortable, only the pillows are very hard.... location is perfect and the breakfast is excellent! All staff aimed to help you and be proactive at second guessing what you might need. Although the gym was decently equipped some of the pieces were dated and require some additional maintenance or replacement. There are enough pieces there to have a decent work out but is limited for more serious gym enthusiasts. The hotel restaurant was a little understand for busy periods but the staff responded very well to accommodate. The staff was responsive, readily available, efficient, and unlike many other locations in Spain have a good grasp on what customer service means and how to implement that philosophy. The property as a whole was very clean and well maintained to include some of the nooks and crannies that are often overlooked at other properties. The hotels has several amenities which only add to the ambience of the locations which is literally at the beach front, near the marina, and walking distance to public transportation. The spa facilities, which include a gym, were very enjoyable and provided an excellent relaxing environment and with both outdoor and indoor pools being available the property is prepared to provide services at any time of year. The grounds are very well maintained which also provided an elegant area to enjoy a cup of coffee and a small meal from the lobby bar. Last but not least the view from the Executive Suites was exactly what you would hope for which included a view of the property grounds, the beach, the ocean, and the sunrise. The balcony (when weather allowed) only added to the open feeling of the space and enjoyment of the beach front atmosphere. Room was ready on arrival, untypical with 5-star hotels on high season. We had no seperate shower. Small room. Unsuitable for 3 people.